These seats are by far the most comfortable in the house! Enjoy the fights from a comfortable couch. 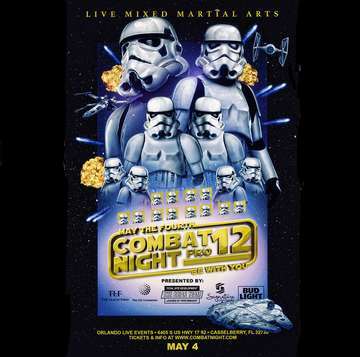 Combat Night is gearing up for it's 2nd professional event for 2019, in Orlando, FL. We have a stacked line up with the best professional fighters in the central Florida area. For more information about the event or VIP reservations, please contact, Chamale@CombatNight.com.